Members who do not renew their membership by July 31 will be dropped from the membership roster. Annual membership is $75 and must be paid by the end of July unless you joined in April or May of 2017. Members who joined during those months do not need to renew until next year. 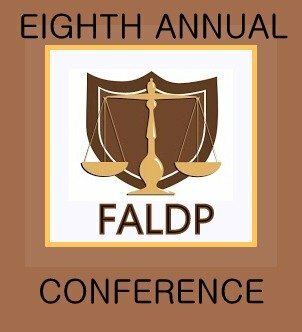 If you have not yet renewed your membership or want to join FALDP now AND attend the conference, scroll down and pay the combination rate and save $10. $10 savings through the end of July. For members who certified last year, please be sure that you have confirmed with us that you completed at least 10 Continuing Education Units (CEUs) this year. This is the only requirement to maintain your FALDP Certification. We have heard from almost all certified members, but a few have not confirmed this with us, and may be lacking some CEUs. We keep track, and we hope that you do too. If you're unsure please contact us. We do not want any member to lose their certified status due to a failure to communicate. We have invited a professional videographer to come to the conference and take footage of our attendees and the conference in general. For a nominal fee, he will be available to create video clips of conference attendees for their own use and advertising purposes. These segments will be 1-3 minutes and be commercials for you to post on your site, facebook page, or your own youtube channel. The videos will be professionally edited as part of the fee. We expect the fee to be around $50 and will let you know more specific details as we get closer to the conference date. If you're interested in taking advantage of this opportunity, please put some thought into the content and presentation. We will circulate a sign up sheet prior to the conference so that we know how many attendees will be able to take advantage of this. Registration for our 8th Annual Conference is open. Go to our Annual Conference Page to register. The conference fee by itself is $95. During July the conference fee plus membership is $160; and during August/ September the conference fee plus membership is $170. So register early. This year's conference theme is: What Can We Do? How can we serve consumers better? And how are we serving consumers now? We invite attendees to bring along a guest at no additional fee. So bring a friend, a colleague, a staff member, a business partner, or prospective member. We may cancel this invitation to bring a guest as registrations come in, so register early. We will again hold our conference at the Fountain Beach Resort in Daytona Beach. After you register for the conference, you'll receive a confirmation page that includes discount codes for accommodations. 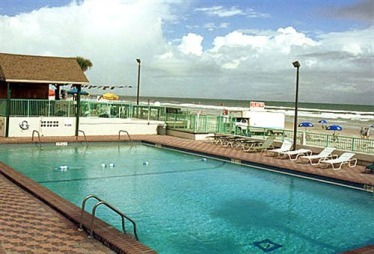 The Fountain Beach Resort is right on the beach, just south of the Daytona Beach pier. Discounted accommodations are $59 or $69 per night. Flat Fee Course Bundle - includes your choice of any three FALDP courses, conference fee and membership - $499. Turn Key Business Bundle Classic - includes document preparation for limited liability formation; a custom website; Intro to Preparing Florida Legal Documents, and FALDP online course; your choice of one additional FALDP online course; conference fee and membership fee - $499. These specials are available through September 15, 2017. Go to our Turn Key page to register for our Turn Key Bundle Classic. And go to our course bundles page to register for our FLAT FEE Course Bundle. Now available at our Online Bookstore "You've Been Sued", Second Edition has just been published. Information has been updated and expanded. It is for sale for $19.95 on our site now, and will also soon be available through Amazon and other online sellers. If you would like to purchase in bulk to resell to your customers, please let us know so that we can give you a quote. • Identify specific businesses that target a similar customers, but with a different service. • Create a list of business owners you know in who target similar customers and interview them. • Ask them the criteria they use in making referrals and what they would like in return. • Set up a tracking system as part of your customer intake file and then review on a quarterly basis where those leads came from. • Reward your referral sources with a card, bottle of wine, tickets to a game,etc. • Don’t rely on random referrals. You cannot build a financially successful document preparation business with random referrals. You need people you can count on who consistently send you highly qualified leads. Your business is too valuable to be left in the hands of random acts of fate. • Identify your primary sources of current and potential referrals. Be sure you know who is currently sending you referrals and thank them and then look for the best possible sources for new referrals and cultivate those relationships. • Create a system for connecting with current and potential referral sources on a consistent basis. You can either wait half your career to build enough relationships with referral sources to fill your practice or you can intentionally take specific steps to create powerful win-win relationships with dozens of referral sources. 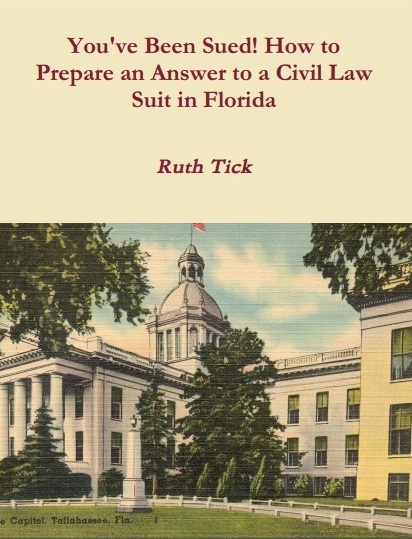 As the number of Florida pro se litigants increase, so does their need for research tools. Since pro se litigants are nonlawyers, with little or no knowledge of the law, access to understandable easy to use resources is vital. Many pro se litigants are low income and therefore unable to pay for a research service. Legal research is rarely easy or straightforward. Because American law stems from many sources and develops in complex ways, thorough legal research requires technical proficiency. And because the law is dynamic and often unclear, thorough legal research also demands creativity and careful thought. Many consumers can easily locate Florida Statutes when beginning their research, but identifying the issue first may be more daunting. Florida Statutes can be pulled up online as simply as entering the search string - Florida Statutes online - into your favorite search engine. However, the statutes themselves are not intuitively searchable, and its difficult to know what you're looking for until you find it. Narrowing the search from the outset will help bring results that are more useful and less daunting than a more general search. For example, suppose you were a residential tenant and you had received a three day notice to pay or quit. But, you, the tenant, did not want to pay because the landlord had promised repeatedly to fix the roof, air conditioning, and the hot water heater and had never done anything. How can a tenant find guidance, (assuming the tenant cannot afford an attorney and does not qualify for legal aid)? Many consumers will immediately take to the net to find answers. Some question and answer sites have good answers and some don't. Finding the statutes could be a good starting point. For that issue, use the search string - Florida Statutes online landlord tenant - and you'll arrive at Florida Statute Chapter 83 in its entirety. This is a lot to wade through, and it is a better idea to do some general research first to familiarize yourself with landlords and tenants rights and responsibilities. Read some articles from authoritative sources. Authoritative sources are official government sources like the Florida Bar site, or the Department of Agriculture and Consumer Affairs. In reading these articles you may learn under what circumstances a tenant is allowed to withhold rent and why. Spending time collecting facts, learning the vocabulary, and then analyzing the facts will save hours of time spent on dead end research. Many beginning researchers can find the governing laws, statute, or ordinances, but struggle to find out how to apply them. The actual procedure is often the most difficult part in practical terms. These two broad areas of law are referred to as substantive and procedural. In our scenario, about the tenant having been served with a Three Day Notice to Pay or Quit, the researcher will soon find out through reading articles and Florida Statutes, that a tenant can withhold rent if his rented dwelling is uninhabitable. The researcher, may then wonder, what exactly is considered "uninhabitable"? Is having no air conditioning in July in Florida considered legally "uninhabitable"? We all may well agree that no A/C is torture, but the law doesn't say so. In fact, Florida landlord tenant laws demand that a dwelling have heat, but air conditioning is not a requirement for habitability. Hot water and a non-leaking roof are generally considered requirements for a habitable dwelling. See 83.51 Landlord’s obligation to maintain premises. If a residential tenant needs to withhold rent because the landlord won't make necessary repairs or if the dwelling is uninhabitable, the rent should be deposited with in the registry of the court. And the tenant should have notified the landlord in writing previously and the landlord failed or refused to make things right. If the tenant has placed the rent in the registry of the court, and the judge finds that the landlord has neglected his obligation to maintain the property, the judge can then decide how the rent money should be disbursed. A Tenant cannot withhold rent from the Landlord without sending notice and allowing the Landlord time to cure the non-compliance, violation, or default of its obligations. Failure to send the required notice to th e Landlord has significant impact on a Tenant’s rights under the rental agreement and Florida Statutes. If the non-compliance is not remedied within the time period specified by statute (or such longer time as may be granted in your written rental agreement) and the Landlord’s failure to comply renders the dwelling unit untenantable and the Tenant vacates, the Tenant may vacate and withhold all rent, or, if the failure to comply does not render the dwelling unit untenantable, rent may be reduced in proportion to the loss of rental value caused by the non-compliance. If the Landlord’s violation of its obligations is not remedied, but the failure to cure the non-compliance does not render the dwelling unit untenantable, the Tenant may remain in the dwelling unit and the rent shall be reduced, until the violation is cured, by an amount in proportion to the loss of rental value caused by the failure to cure the violation. In any legal proceeding, however, the Tenant will have to pay all past due rent, and rent as it co mes due during the legal proceedings, into the registry of t he Court. The Tenant should, therefore, deposit all rent as it comes due in a separate bank account until the Tenant's disputes with the Landlord have been resolved. For the text of Florida Statute 83.51(1), and the grounds for withholding rent, see the note to Form 3. SOURCE: Sections 83.56 and 83.60, Florida Statutes (2007). Legal information can be found in many places. Diligent and persistent search pays off when you find the answers to troubling legal questions. Keep an open mind, frame the issues, and remember there may be more than one right answer to any legal question. We are pleased to announce the formation of a non-profit to run side by side with our association. We have two goals. The first is to assist indigent consumers and low income consumers with document preparation. We plan to refer the consumer to a member for document preparation; and pay the member to prepare the documents from foundation funds. Our second goal is to educate consumers about the legal system, their rights, civil process and procedure, and legal research through free or low cost online courses. Any member interested in volunteering or hosting a fund raiser, please contact us at 800-515-0496 or staff@faldp.org. Spanish Help page. Bankruptcy Petition Preparers information will be displayed on the bankruptcy petition preparers page. The list of Bankruptcy Petition Preparers who appear on that page will be removed and replaced with the information from members who submit a form to be included. For some time we have maintained informal directories of various types, And, we feel that it is more fair to include members who submit their information. Family law document preparers information is listed on family law issues. We have removed the informal list and are including only those members who submit the form requesting to be included. The same is true for our immigration document preparers, whose information will appear on Immigration Inclusion in these directories is apart from and in addition to our main Member Directory. Inclusion in our main Member Directory and a Mini-Page is part of your membership. Members are entitled to listings in three counties, and the Premium Member logo is displayed in your home county. Our goal in creating these additional member directories is to help members gain more exposure, and to make it easier for consumers to find you. We encourage members, document preparers, consumers, actually anyone who knows the answer to answer questions on our Ask FALDP pages. For a member document preparer's post to get past the monitor there are a few things to know. First, answer the question in a way that may help not only the person who posted the question, but also others who may have similar or related questions. We like answers to be around 200 - 400 words. Although we encourage all who answer our questions to include an authoritative source, we require our members to do so. An authoritative source could be a Florida Statute, a court case citation, a government website, an attorney's website, or various other types of sources. We sometimes accept news articles as authority. Member document preparers are encouraged to include a link to their website and contact information. Answers that do not answer the question and/ or do not include authority are discarded. So, if you wonder why your answer never appeared, consider what you may have left out. Members can also earn Continuing Education Units (CEU's) by answering questions on our Ask the Members forum. Three accepted answers equals one CEU. We are always behind on answering the questions on the Ask the Members forum and request people who know the answer to post it. Thanks!